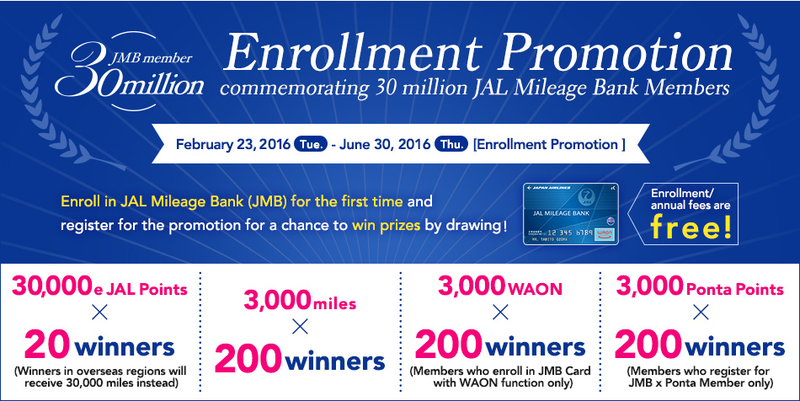 Japan Airlines (JAL) Mileage Bank is celebrating 30 million members with an acquisition promotion to gain even more members! The first period runs until April 15th and the second period is April 16th to June 30th. If you are already a member don’t fret. The promotion has a section for you. If you redeem for an award ticket by March 31st you have a chance to win back the miles you redeem. In fact 1 out of every 300 members who redeem will win back their miles for their redemptions! To find out more about this promotion and to join JMB click here!